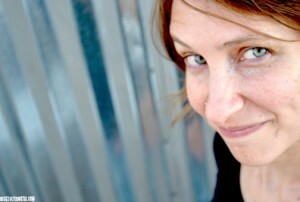 Becky Alter is a vocalist, songwriter, and musician. She has been recognized for her vocals and style, described as having a voice that “rings clarity and perfection.” Recently based out of Los Angeles, Alter is working on new song writing. The debut album, BECKY ALTER, landed Alter as a finalist for the NM Music Awards (“Nana’s Lullaby” / Best Folk/Traditional Song). Musically & stylistically, she cross-defies genres. Consistently regarded as having her own sound and style, Alter has drawn praise from audiences across the US – “beautiful”, “lead crystal”, “ethereal, uplifting, hot stuff.” Media & the music industry also chimed in “packs power”. The debut album was released in 2012. A collection of indie, blues, rock, and instrumental, it has been regarded as having “catchy melodic hooks” and “hauntingly evocative.” The San Diego Troubadour said the album highlights “Alter’s striking voice” and “‘Lovebird’… recalls Baez in her heyday.” The album is for fans of Azure Ray, Emma Hewitt, Angus & Julia Stone. Most of 2012-2013 was spent on a tour of the western US in support of the album. Alter’s new material includes trancey vocals and electric instrumentation.